In light of Christopher Hitchens passing this past December, I’ve been barnstorming apologetics lectures and debates, and will be sharing many of those over the next few weeks. As much as I disagree with Hitchens, and find his grasp of the Bible and Christianity very thin, I admire his ability to communicate, argue and wield the English language. Of all the popular, celebrity atheists, Hitchens is by far the most articulate and formidable, in my opinion. He makes “anti-theism” incredibly appealing to those who don’t have much beyond a Sunday School grasp of Christianity. I have found the majority of debates with most of the other atheists (or atheistic-leaning agnostics) to be quite dull as their arguments and evasions are easily unmasked. But Hitchens puts up an admirable fight and, consequently, the Christian debaters often shine brighter than we would have seen otherwise. Christianity has some incredible defenders in men like Dinesh D’Souza, Doug Wilson, Alistar McGrath, John Lennox and William Lane Craig. 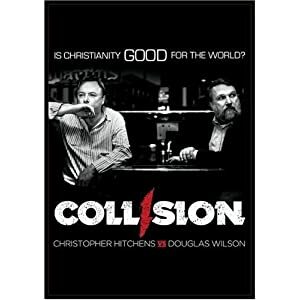 This DVD is not a full fledged debate, but rather something of a travelog of Wilson and Hitchens on a book tour to promote their book which covers a debate that they had. While not a debate I found it fascinating. John Lennox is a mathematician and philosopher of science at Oxford, and he is a staunch defender of Christianity from the attacks of the new atheists. He has debated the likes of Richard Dawkins. Lennox brings sound reasoning and powerful arguments to the table as he considers the assaults new atheism has erected in the public eye. There is quite a bit of audio material online that is very helpful and interesting. 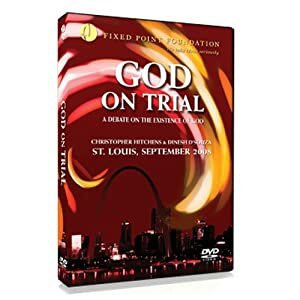 John’s site includes a number of interviews and debates, as well as a host of short 2 to 6 minute video clips that address a particular issue relevant to the criticisms of atheists. Dawkins Lennox Debate (the “God Delusion Debate”) hosted at the University of Alabama. The Feed Trust.org. A resource of mulit-lingual Bible resources that Lennox is involved with. BBC Interview with John Lennox, interviewer Tim Bearder. 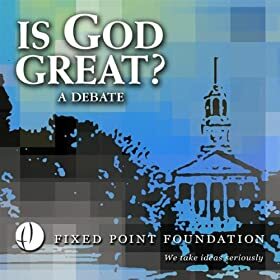 Fixed Point Foundation. 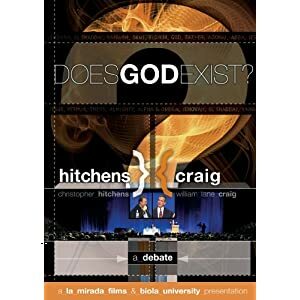 Organization that has organized the debates between Lennox and Dawkins.